CASA C-101 Aviojet - PLANESPOTTING.EU. The CASA C-101 Aviojet is a low-wing single engine jet-powered advanced trainer and light attack aircraft. 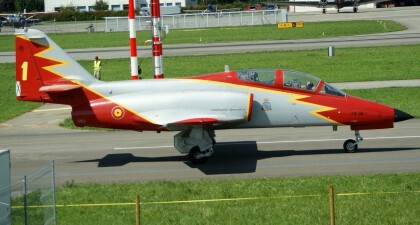 It remains in service in the Spanish Air Force and some other countries; it is also flown by the Patrulla Aguila aerobatics team.